[S373] Jon Shultz, "Holcombe, James Alderman," e-mail to James H. Holcombe, 10 February 2002. [S807] Find A Grave, online http://www.findagrave.com, Find A Grave, database and images (https://www.findagrave.com : accessed 9 April 2019), memorial page for Orla Leroy Holcomb (25 Aug 1903–21 Aug 1979), Find A Grave Memorial no. 14868762, citing Quinshan Cemetery, Gibsonburg, Sandusky County, Ohio, USA ; Maintained by John Tate (contributor 47119982) . 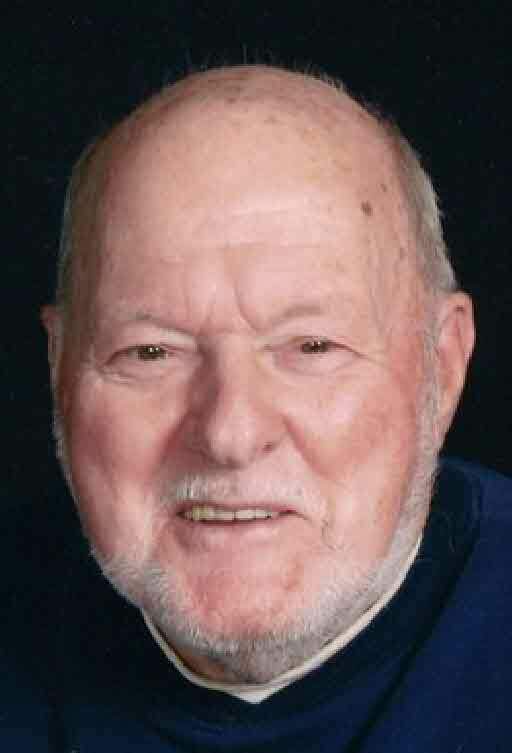 ames Edward Holcomb, Sr., age 84, a lifelong resident of Sandusky County, a loving father, grandfather, great grandfather, great-great grandfather and brother went home to be with his Lord peacefully at his home Saturday afternoon, June 4, 2016. Jim was born to his parents Orla Leroy and Evelyn Mae (Garey) Holcomb, Sr. in Bradner, Wood Co., OH on Nov. 13, 1931. On June 10, 1950, Jim married the love of his life Joyce Ann Smith at the Shiloh United Methodist Church in Helena. Jim was a member of Trinity United Methodist Church in Gibsonburg, a member of the Gibsonburg Class of 1949, a former volunteer fireman in Helena, OH, a 1992 retiree of Pfizer and the former Brush Wellman, Materion as well as a 50+ years member of the Gibsonburg Masonic Lodge #575. Surviving him are children Gary (Kathy) of Southfield, MI, Allen (Vickie Jo) of Fremont, Debra (John) Tate of Fostoria, James E. “Jamie”, Jr. (Shelley) of Clyde and Kevin (Becky) of Port Clinton; 26 grandchildren; 21 great grandchildren; 10 great-great grandchildren; brother Orla “Skip” (Donna) Holcomb, Jr. of Niles, MI; brother-in-law Richard Smith; sister-in-laws Carol (Alton) Bouldin, Nona and Kathleen Smith; and many nieces, nephews and cousins. James is preceded in death by his wife, Joyce who passed Sept. 14, 2004 and his loving parents Olra Sr. on Aug. 29, 1979 and Evelyn on Mar. 14, 1990. Visitation will be on Thurs., June 9, 2-4 & 6-8 p.m. at the Herman-Veh Funeral Home & Cremation Services, Gibsonburg, where Funeral Services will be Fri., June 10, 10:30 a.m., with Rev. Max Ulderich officiating. Burial will be at Bradner Cemetery. Memorial donations may be directed to the Trinity United Methodist Church, Gibsonburg, or to the donor's choice. [S807] Find A Grave, online http://www.findagrave.com, Find A Grave, database and images (https://www.findagrave.com : accessed 9 April 2019), memorial page for James Edward Holcomb, Sr (13 Nov 1931–4 Jun 2016), Find A Grave Memorial no. 163917264, citing Bradner Cemetery, Bradner, Wood County, Ohio, USA ; Maintained by John Tate (contributor 47119982) . [S807] Find A Grave, online http://www.findagrave.com, Find A Grave, database and images (https://www.findagrave.com : accessed 9 April 2019), memorial page for Joyce Ann Smith Holcomb (15 Mar 1932–14 Sep 2004), Find A Grave Memorial no. 78620985, citing Bradner Cemetery, Bradner, Wood County, Ohio, USA ; Maintained by John Tate (contributor 47119982) . [S182] Social Security Death Index (on-line), Ancestry.com, SSDI, Ancestry.com, SSAN 273-14-4178. 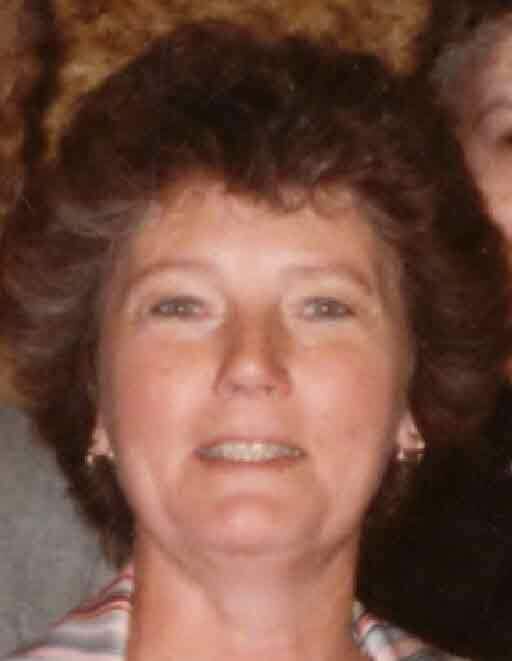 Joyce Ann (Smith) Holcomb, 72, a lifelong resident of Sandusky County, a loving wife, mother, grandmother, great-grandmother and sister, went home to be with her Lord on Tuesday, September 14, 2004. Joyce was born on March 15, 1932 to the parents of Richard and Mae (Morgan) Smith in Sandusky County's Scott Township. On June 10, 1950, she became the bride of James Edward Holcomb, Sr.
She was a member of Trinity United Methodist Church in Gibsonburg and a member of the Senior Choir. She was a former member of the VVV Choir of Sandusky County. Surviving are her husband, James of 54 years; sons Gerald (Kathy) of Southfield, MI, Allen (Vickie) of Fremont,OH, James E. Jr. (Shelly) and Kevin (Dawn) of Gibsonburg; daughter Debra (John) Tate, Sr. of Fostoria, OH; 20 grandchildren and 16 great-grandchildren' brothers, Kenneth (Dorothy) Smith, Tiffin, OH, James (Nona) Smith,Clyde, OH, Thomas (Kahleen) Smith, Fremont, OH and Richard Smith; sisters Dolores Smith of Clyde, OH and Carol (Alton) Bouldin, Helena, OH; Uncle Virgil (Rosa) Smith, Vaughanville, OH and many nieces and nephews and cousins. Joyce was preceded by her parents , step mothers Orvetta (Ostrander) Smith and Stella Sue (Stopher) Smith, sister Rosemary Smith and brothers, Benjamin and Neal Smith. Visitation: 2 to 4 and 7 to 9 p.m. Friday at Herman-Kinn-Veh Funeral Home and Cremation Services, 319 W. Madison St., Gibsonburg, OH. Services: 10 a.m. Saturday at the funeral home. Pastor Fritz Merkes will officiate. The family would like to thank her doctors, nurses and aids at Fremont Memorial Hospital and friends for their kindness and support shown to Joyce through this difficult time. Memorials: Trinity United Methodist Church, Gibsonburg, or donor's choice. [S359] William Alderman Parker, Alderman, Page 460.